When you put on mascara, it is supposed to make you look better. 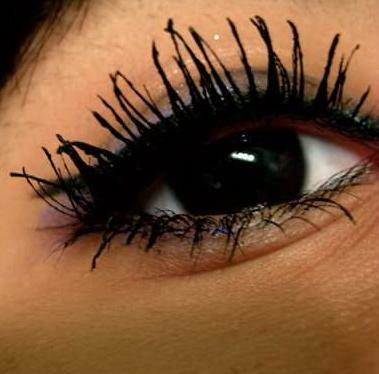 If you choose clumpy mascara, you look like there is a hairy spider around each of your eyes. If your mascara clumps, either throw it out and buy a new one or if it’s new then buy a better mascara. Expensive doesn’t necessarily equal better. After applying mascara, use an eyelash comb (or save a mascara wand from a past tube and clean it) and run it through your lashes to get rid of clumps. Also if you find that your mascara flakes off under your eyes making you look like a raccoon, then once again buy a better mascara! Mature women, if you wear mascara try not wearing it on your lower lashes. This makes one look more awake (it detracts from dark under-eye circles) and draws the eye upwards and away from those crow’s feet that may be starting to show under your eyes. If mascara doesn’t enhance your eyes and instead makes you look worse, then why even bother wearing it at all?